Jewelle Gomez is the author of Don't Explain, as well as the very popular Gilda series. Gomez works as an Author and cultural worker. Gomez's great grandmother, Grace, raised by her. The close family ties she held with her great grandmother, as well as her grandmother, Lydia, helped to shape her both socially and politically in the 1950s and 1960s. During high school and college, Gomez was involved in Black political and social movements, which is shown throughout her writing. Following these years, she became involved in lesbian feminist activism, as well as magazine publication. Her work has been described as living, "...at the intersection of multiple ethnicities, the ideals of lesbian/feminism and class." Gomez is the recipient of a literature fellowship from the National Endowment for the Arts; two California Arts Council fellowships and an Individual Artist Commission from the San Francisco Arts Commission. Her fiction, essays, criticism and poetry have appeared in an abundance of periodicals. These include: The San Francisco Chronicle, The New York Times, The Village Voice; Ms Magazine, ESSENCE Magazine, The Advocate, Callaloo and Black Scholar. Her work has also appeared in works such as HOME GIRLS, READING BLACK READING FEMINIST, DARK MATTER and the OXFORD WORLD TREASURY OF LOVE STORIES. Gomez has presented lectures, as well as taught at numerous educational institutes including San Francisco State University, Hunter College, Rutgers University, New College of California, Grinnell College, San Diego City College, The Ohio State University and the University of Washington (Seattle). Gomez is the former director of the Literature program at the New York State Council on the Arts, as well as the director of Cultural Equity Grants for the San Francisco Arts Commission. Gomez is currently the director of Grants and Community Initiatives for Horizon and the President of the San Francisco Library Commission. Gomez is the author of the double Lambada Award-winning novel, The Gilda Stories. 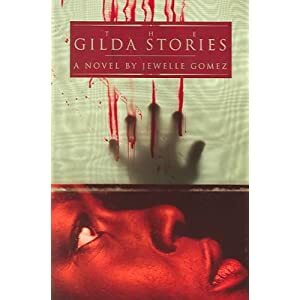 The Gilda Stories recently celebrated 20 years in print in 2011. Gomez is best known for this popular novel. A short story from the Gilda Stories, Houston, is found in her novel, Don't Explain.